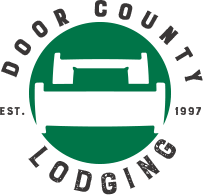 Last Minute Lodging in Door County, WI: July 15-17, 2016 Triathlon Weekend! The Door County Triathlon brings runners from all over to the Door Peninsula where silent sports are part of the life style! 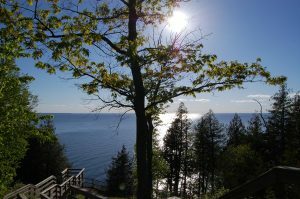 Whether you’re participating in the event or cheering on others, make your time in Door County exceptional – book a room for a few nights and spend some time in one of our many state and county parks submersed in the natural landscape, enjoy shopping and dining in our small towns and villages, and catch some late night live music and theatre. The Door is open, see you soon! Balcony Two Queen $178/night (available 14 &/or 15). These rooms have two queen sized beds and a private balcony overlooking the water. They are 300 sq. ft. like the Patio King rooms, only up one level Each room has a beautiful view of the water. They are located on the parking level, but do have the walkout balcony. Premium King $198/night (available 14-18). These 400 sq. ft. rooms have a nice size private balcony overlooking the water. They are larger than the Patio King and Balcony Two Queen rooms. The bathrooms are a bit bigger and they also have a pull out sofa and wet bar. These units are located in their own building a short distance from the main building. A pretty terrace with a fountain separates the two buildings. There are five units on the street level with balconies and five units on the upper level with balconies. They are spacious and nicely decorated. Last Minute Lodging in Door County, WI: June 9-12, 2016 Lighthouse Festival, Goat Parade, Side Pork Fest, & Steel Bridge Songfest!